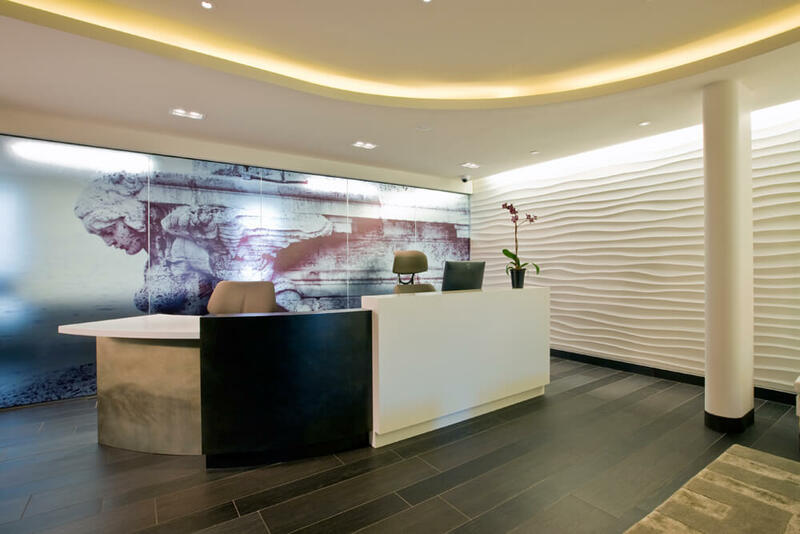 For this 3300sf modern maxillofacial clinic in VA in the Mosaic District of Falls, FORMA Design was tasked to create a sophisticated adult vibe that would set the clinic apart from its competitors. 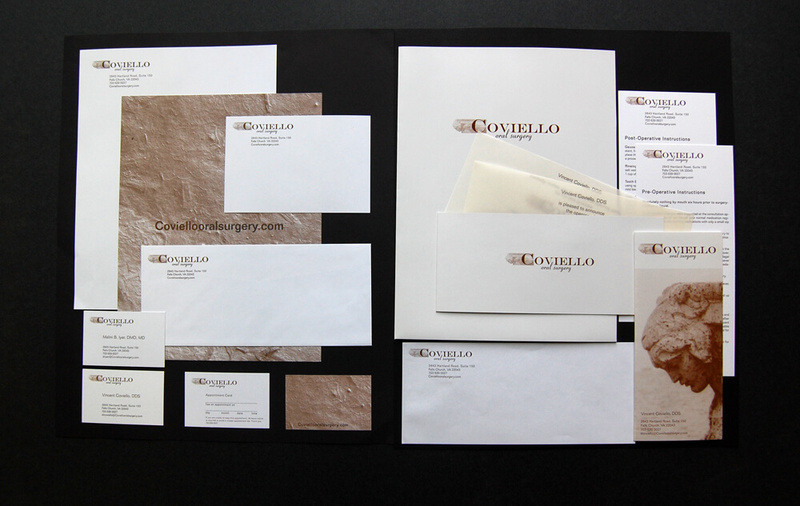 In addition to designing the space, FORMA developed the branding and artwork packages, to create a memorable and sublime experience for the patients as well as the doctor and the staff. The project was awarded the 2014 Silver Award for Healthcare Design from The International Interior Design Association's (IIDA) Mid-Atlantic Chapter. 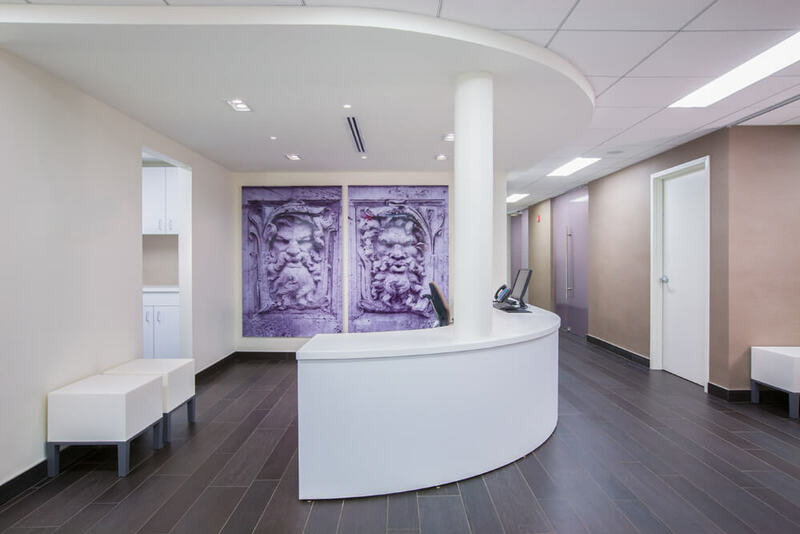 “I engaged FORMA Design’s services both for the architectural design and the branding of my 3300sf Maxillofacial surgery clinic in the Mosaic District of Northern VA, and tasked them with creating a sophisticated adult vibe that would set the practice apart. There is nothing stereotypical about the results. Design decisions were centered around the patient experience. Our patients absolutely love our office, they even comment on how aesthetically pleasing the coat hang is. The comfortable oversized furniture and subtly textured cast plaster accent walls of the waiting area set the tone when entering the office. 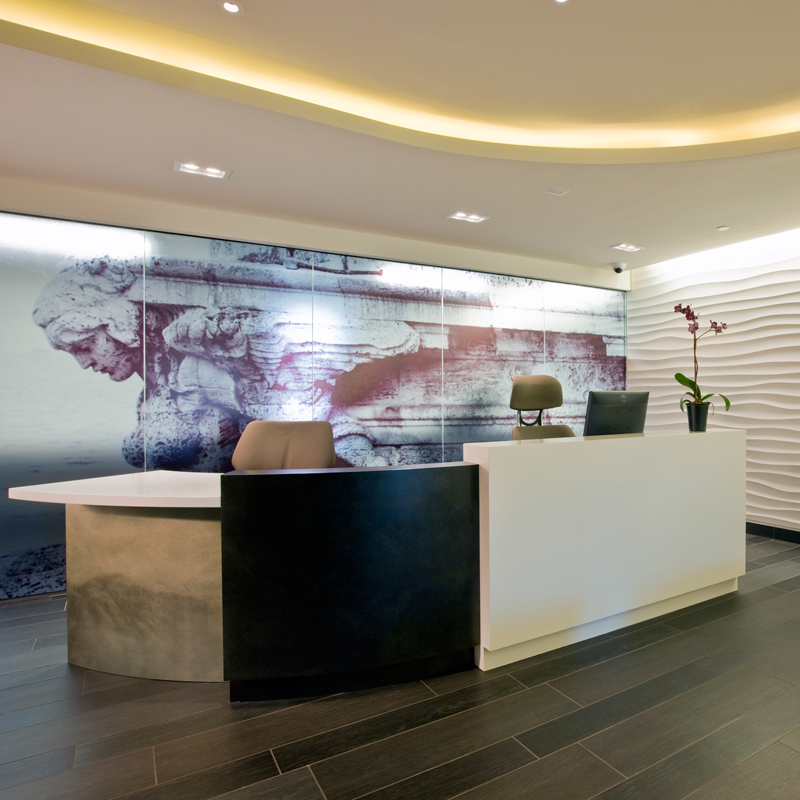 From the sculptural Concierge desk sitting in front of a super graphic of the classical sculpture that served as inspiration for the clinic’s brand identity, to the private waiting and conference areas separated from the adjacent waiting room by curved textured glass panels, there is an interplay between the discrete areas of the office. 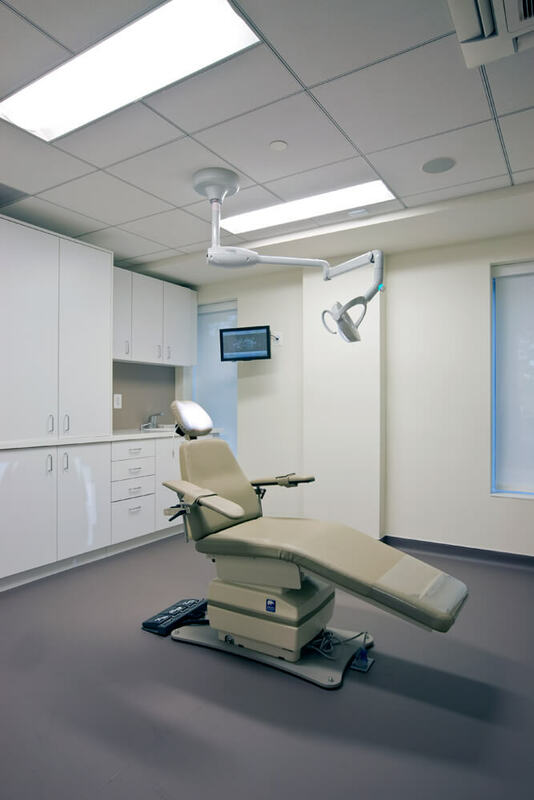 The overall impression of the office is one of personalized service, attention to detail and quiet comfort, facilitating patient flow and providing a memorable experience for the patients as well as for myself and my staff.